as little as $500.00 per month. On approved credit. Other restrictions may apply. Engineered and Built by Operators - The mechanical bull we build for our customers is the same mechanical bull we build for ourselves with the best of components and the best of real world engineering. The show we have developed over the last 15 years is now available to you. Battle Proven and Reliable - The question to us is reliability, not cost. When you do a thousand mechanical bull rides a day even small breakdowns can cost thousands of dollars. Our mechanical bulls capture the customer's imagination and give them the bull-riding thrill they demand day in and day out without breaking down. Highest Level of Safety - Once you see our mechanical bulls in action you can tell they are basically mechanical puppets that the crowds younge and old adore. With such control over the bull, the operator can ensure the highest level of safety. All of our mechanical bulls come with either a 15 hp three phase 220 volt, 50-amp draw motor (preferred) or a 10 hp single phase 220 volt, 60-amp draw motor. We have produced mechanical bulls for movie and television productions, dude ranches, bars, restaurants, mobile operators, schools, dance clubs, and amusement centers. We can help deturmine which bull best fits your situation. 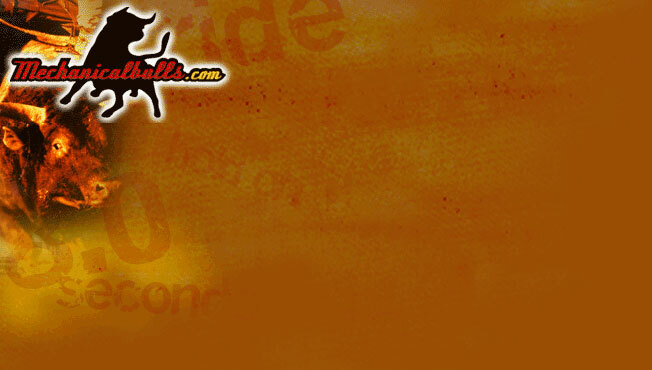 For prices and more information about buying new and used mechanical bulls please contact us. Copyright © 2006 MechanicalBulls.com LLC. All Rights Reserved.